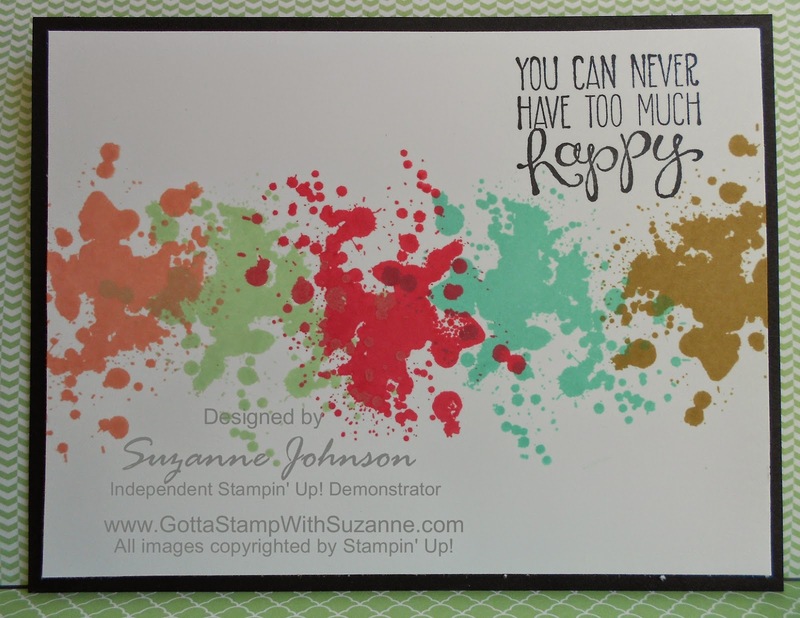 GOTTA STAMP WITH SUZANNE JOHNSON: SIMPLY IN COLORFUL! Here are two more cards you can choose to make at my April In Color event. 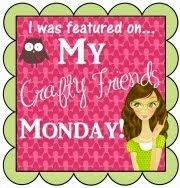 These are shown in the simplest, quick and easy versions - the hardest part is cleaning your stamp in between colors, LOL! You can use a different sentiment than the ones in the samples (which are both from "Yippee Skippee"), and choose a coordinating In Color background instead of the black shown here. The splatters are from the "Gorgeous Grunge" set. 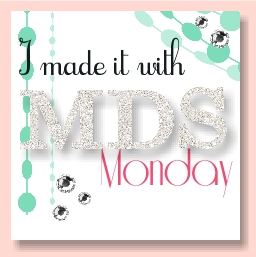 I c.a.s.e.d the first from a card posted on Splitcoast Stampers by "Sistersandie" (I couldn't find her real name). She used a different sentiment in the lower corner, and added black splattered dots (another stamp in the set) over the colors. I want to let you know that after finished stamping the splatters, I ended up turning my panel upside down just because I thought it looked better that way! 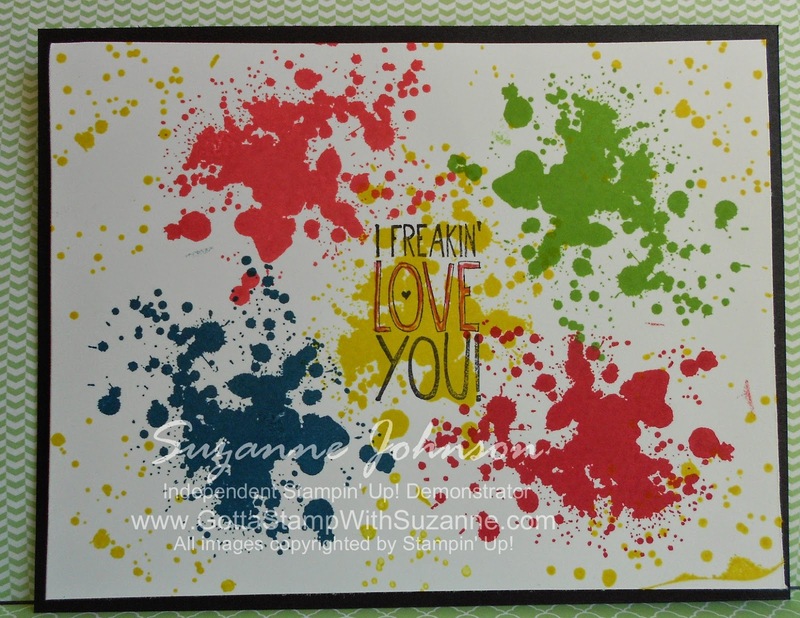 I love the way this group of colors has such a 60s-70s vibe when stamped with the splatters from "Gorgeous Grunge!"